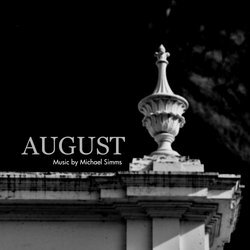 “August” is the debut single from Warwick (QLD) based composer/producer, Michael Simms. This instrumental solo project is admittedly a sheer self-indulgent exploration of his interests in modern orchestral, electronic classical and adult contemporary music. Michael Simms draws influence from notable composers such as Vangelis, Tomita, Brian Eno, Thomas Bergersen, and (in some respects) Hans Zimmer to serve as the stylistic benchmark for his instrumental solo work, all whilst preserving the fundamental aspects of his alternative rock background as he incorporates a contemporary rhythm section (guitar, bass & drums) which drives the orchestral and electronic elements of his work to create a hybrid “contemporary classical” sound.